Now, as Americans finish filing to the IRS for the first time under the new system, the law has swelled the deficit and surveys show just one-fifth of taxpayers believe their taxes have gone down. That's made it hard for President Donald Trump to leverage the tax cuts as an issue in 2020, when he's up for reelection and his party will be seeking to retake the House of Representatives. "The Democrats really outmaneuvered the Republicans by convincing the American people that the main thrust of the tax reform package was to cut taxes for the wealthy," said Dan Eberhart, a major Republican donor who runs the drilling services company Canary, LLC. Republicans "failed to fully explain the success to voters." 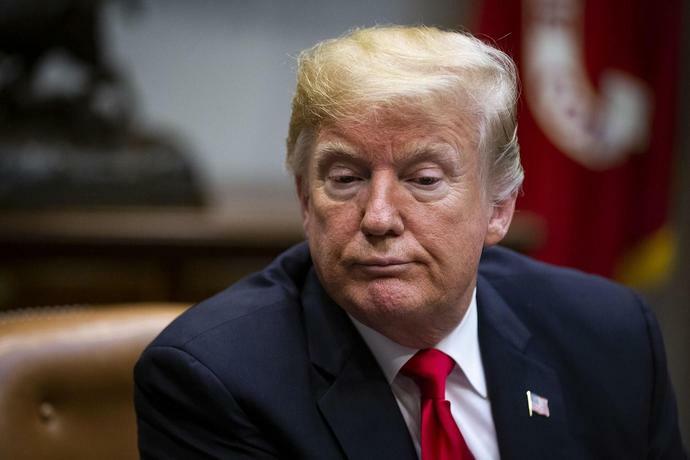 Trump is going to try again on Monday when he goes to Minnesota, a potential swing state in the 2020 election, to promote what Republicans consider their signature legislative achievement. It's part of a week of events designed to promote the tax law's effects on the economy as he turns to his next campaign. The Trump administration and congressional Republicans sold the tax law as fuel for economic growth and deficit reduction. Senate Majority Leader Mitch McConnell gave assurances in December 2017 that the measure would not only contain the deficit but be a "revenue-producer." 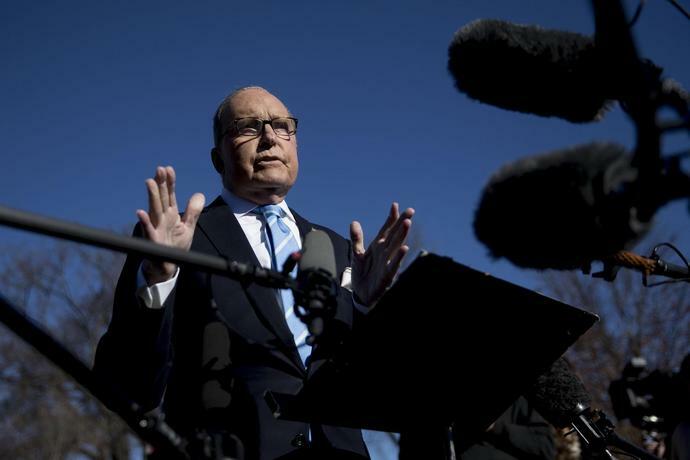 Trump's top economic adviser, Larry Kudlow, said last week that the tax cut package had largely already paid for itself, a statement that conflicts with government data. The U.S. budget shortfall grew by 17 percent to $779 billion in fiscal year 2018, which the Congressional Budget Office has said was partly a consequence of the tax law. Along with additional spending that's been signed into law, the CBO projects the deficit will surpass $1 trillion by 2020. When the law passed, McConnell said, "If we can't sell this to the American people, we ought to go into another line of work." He added that the GOP merely needed to tell the public "that you have more money in your pocket." That's despite an analysis by the nonpartisan Tax Policy Center that two out of three taxpayers would see their taxes go down. The biggest benefits, though, go to the top 1 percent, who are projected to receive an average tax break of $62,000 in 2018, while the middle one-fifth of income earners got an average tax cut of $1,090 - about $20 per biweekly paycheck. The law appears to have met a similar political fate as President Barack Obama's stimulus package in 2009, in which most Americans received a one-year tax break but the incremental gains in paychecks were so small that most didn't notice. Eberhart said the Trump administration wanted "an immediate reaction" so it reduced the amount the IRS withholds from regular paychecks starting in 2018. The move backfired. "It was too small an amount for most to notice," he said. Adding to voters' frustration, their tax refunds were smaller than expected, down about 1.1 percent overall, but still noticeable to individual households. White House economic adviser Kevin Hassett on Friday dismissed poor poll results, saying that they might be explained by general frustration with the tax system broadly. He cited other data, such as the Michigan survey of consumer sentiment, that "suggest that you should have a very optimistic outlook for economic growth this year." The tax law, passed by Republicans without any Democratic support, lowered the corporate rate from 35 percent to 21 percent and cut individual taxes across income brackets for eight years. It doubled the standard deduction and enhanced the child tax credit. And it closed or tightened various tax breaks - most notably by capping the amount of state and local taxes that can be deducted - which had its biggest impact on residents of high-tax, largely Democratic-run states. Ryan Ellis, a conservative tax lobbyist, blamed negative news coverage for the unpopularity of the tax law. "People don't know about their own taxes," he said, adding that they "get half baked ideas" from the way the law is portrayed. Republicans didn't understand what the broader public wanted from a tax bill, said Morris Pearl, a former managing director at BlackRock Inc., who now chairs Patriotic Millionaires, a group of wealthy individuals who advocate for higher taxes on the rich. "They forgot that the people who show up at their $1,000-a-plate fundraisers are not representative of all people," Pearl said. "They overreached with their tax bill and tilted the system in the favor of the very wealthy and large corporations." The tax effort stemmed from the bipartisan desire to move the U.S. corporate tax system in line with those of foreign competitors. Both parties supported lowering the country's 35 percent corporate rate, though Democrats favored a more modest reduction. Worse, the state and local tax, or SALT, cap really stung. Residents of high-tax states, encouraged by the elected Democratic officials, came to believe they were targeted to pay for the $1.5 trillion tax cut, even if they weren't able to personally use the deduction.